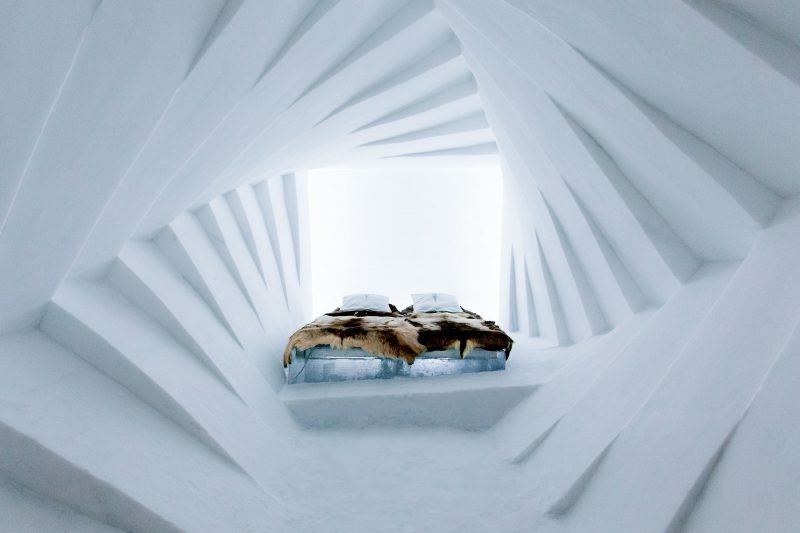 Set approximately 200km north of the Arctic Circle in the heart of Swedish Lapland, the Icehotel is amongst the world’s most unique hotels… and the original of its kind. Located on the banks of the frozen River Torne in the charming village of Jukkasjärvi, take one look inside and you’ll see why. After 25 years of construction, visitors continue to be enchanted by the world’s largest and most spectacular igloo. From hand-picked cloudberries to the iconic cinnamon bun and freshly-caught Arctic Char – super fresh, flavoursome and local produce make dining a real highlight of any visit to Sweden. Experience fine-dining with a contemporary twist at the Icehotel Restaurant where you can choose dishes that are served on a plate of ice, sample hearty home-cooking at the Homestead, or for a true Saami cultural immersion, eat in a lavvu or wilderness hut when out on an excursion. Don your thermal outerwear and head out into Swedish Lapland’s snowy wilderness in search of a dazzling aurora display. 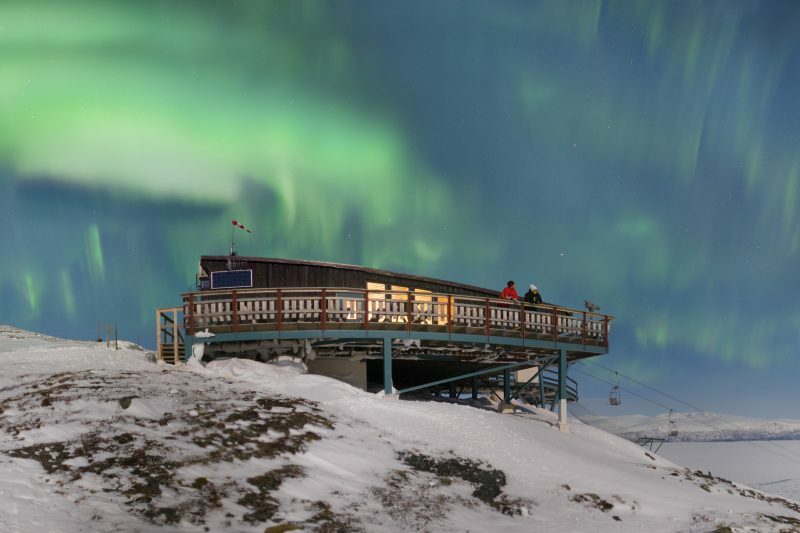 Combine a night in the Abisko National Park– one of the most reliable places in the world for northern lights sightings due to its vast cloudless skies. For many, Scandinavia is synonymous with saunas, so why not indulge in an authentic sauna experience, consisting of time in a toasty sauna, followed by an revitalising ice plunge and a relaxing Scandinavian body scrub. Or, perhaps spend time with like-minded travellers in the fabulous Ice Bar, where a variety of tasty cocktails are served in glasses made purely of ice. Get your heart pumping and cheeks glowing with a host of optional winter pastimes – a highlight of any trip to the Icehotel! 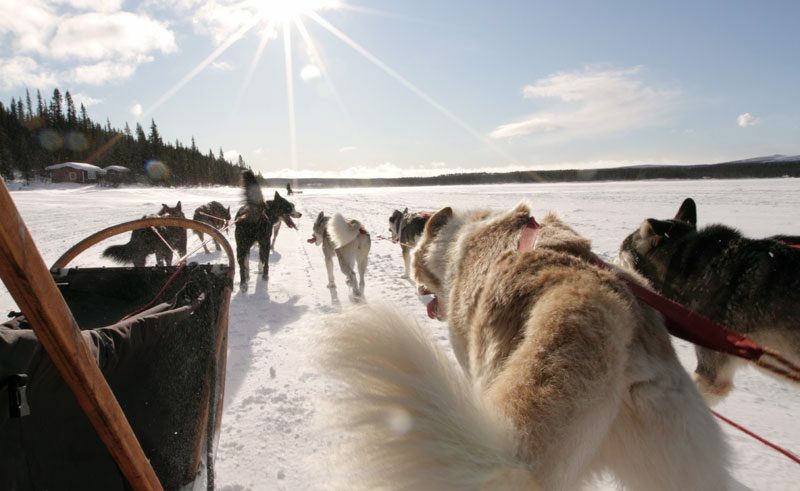 Learn how to mush your very own team of huskies, master the art of ice sculpting or feel a rush of adrenaline as you head out on an ice driving experience. 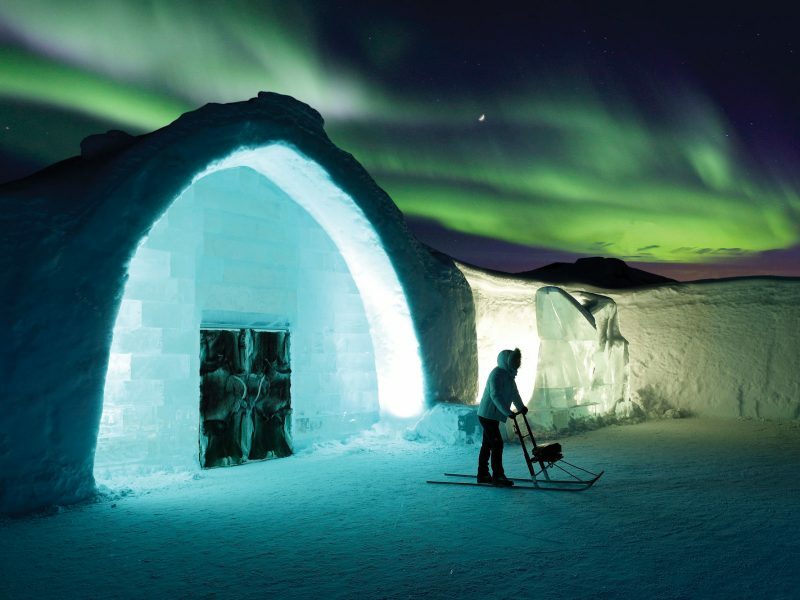 End the day’s exploration with a night sleeping inside the Icehotel. Remove your outerwear and boots and cocoon yourself in a thermal sleeping bag, laid over cosy reindeer skins. With a little know how and a layer of thermals, spending a night in an Ice Room isn’t as daunting as may first seem! Follow our handy tips on how to sleep on a bed of ice, and wake up feeling refreshed with a warm cup of lingonberry juice. Reaching the Icehotel couldn’t be easier with our exclusive direct flight – getting you there in just under 3½ hours. So, whether you fancy a 3-night Classic Icehotel break or a Northern Lights escape, Swedish Lapland offers a wealth of sensational winter adventures.